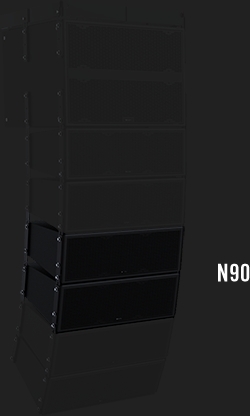 The N90 is a 2-way high/mid system line array module in a computer optimized enclosure. The N90 utilizes a 3-way biamplified complement of twin 8.8” cone drivers and a 1” exit extended high frequency compression driver. The enclosure is constructed of durable 12-ply void-free birch laminate, dadoed for strength and durability. All IN.LINE™ Modules ship with simplified rigging system which is designed to be set once and permanently installed. Perforated steel is employed for frontal protection of the loud speaker complement, hidden behind an attractive foam face. "One of the major reasons we were so comfortable going with the McCauley concept is just the sheer attention to detail and pre-planning that these guys brought to the table, before we ever spent a dime. Their SDG program gave us a ..."